First Friday of the month, beginning September 7, 2018 and running through June 7, 2019. Scuola Italiana is offering a safe, affordable, and culturally enriching childcare option in the Pearl District for parents to enjoy a child-free night out on the town every first Friday of the month, while their kids have an awesome evening playing with other children and interacting with a native Italian caregiver. 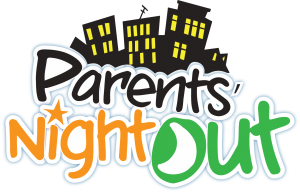 Parent’s Night Out is held on the first Friday of each month from 6:00p.m until 10:00 pm and is open to children ages three to ten years old. Each evening includes games, crafts, movies, and other cool activities. Program activities will vary from month to month. It is located at 1542 NW 14th (between Quimby & Raleigh Streets), the home of our preschool and weekend language program. Important: Remember to bring snacks for your little one, as food is not provided. Save by pre-registering and paying online. Save even more by buying a two or five night pass. Siblings receive a $5 discount per pass after purchase of first pass!